The Prodigal’s Prayer and Repentance: A Single Movement (Feb. 4, 2018). Reflecting on his recent pilgrimage to the Holy Mountain of Athos, Fr. 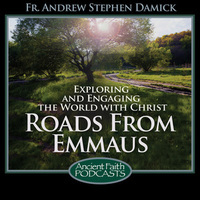 Andrew Stephen Damick connects some of the wisdom he heard there with the parable of the Prodigal Son and what that means for our own prayer and repentance.